Bryan David Griffith: The Last Bookstores: America’s Resurgent Independents examines bookstores across the country (PHOTOS). Weller Book Works, Salt Lake City, Utah. “I don’t like being called a retailer, and I don’t like being called a businessman. 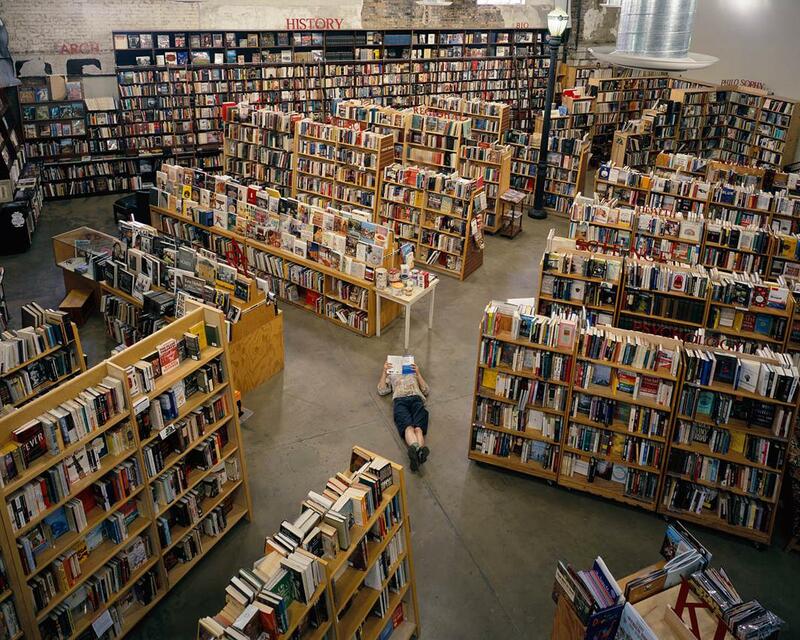 I prefer bookseller! In my mind, that’s saying you’re a purveyor of ideas and dreams and thinking,” said owner Tony Weller, shown reading defiantly on the floor. 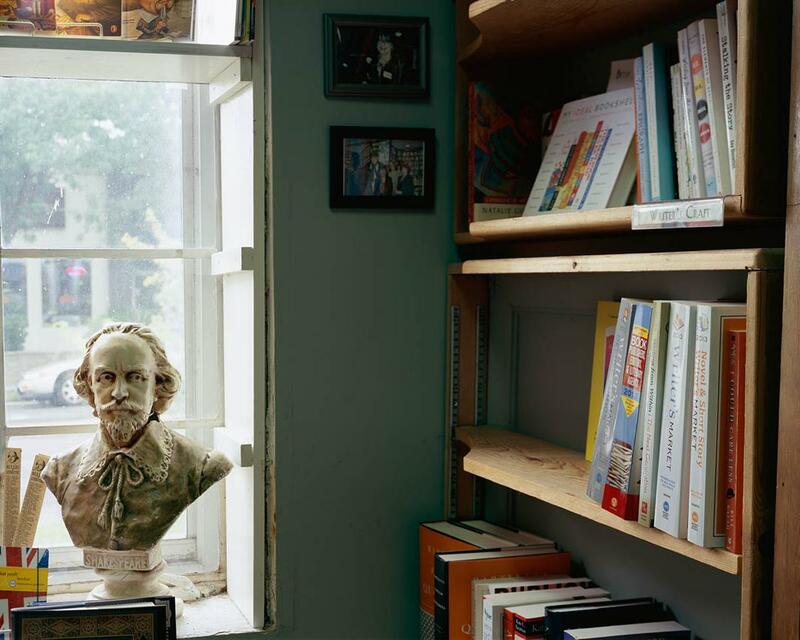 Like the independent bookstores he photographs, Bryan David Griffith is a bit of a throwback. He does have an email address, but if you want to reach him on the phone, you have to dial a landline, and most likely track him down through his answering machine. His yearlong project covering more than 20 independent bookstores around the country was photographed with a large-format film camera; he travels to each location from his home in Arizona via a makeshift camper in which he sleeps, loads film, and stores his equipment. 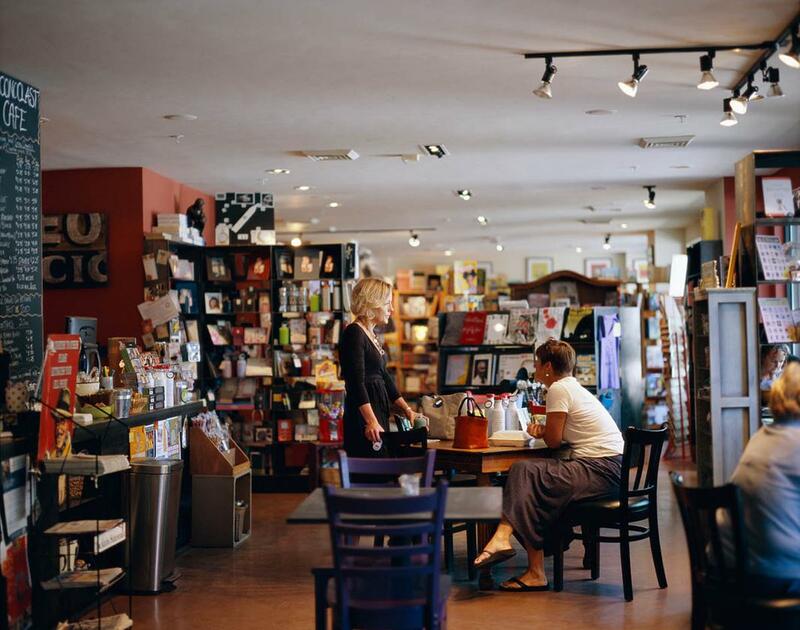 One of those things he doesn’t want to see leave are the independent bookstores, a business he views as a lot more than simply a place to buy books—they’re a meeting place away from the often segregated, homogenous world of social media. Elliott Bay Book Co., Seattle. “People understand that if they want to continue to have choices and things that they value available to them, they have to vote with their feet and their wallets,” said owner Peter Aaron. 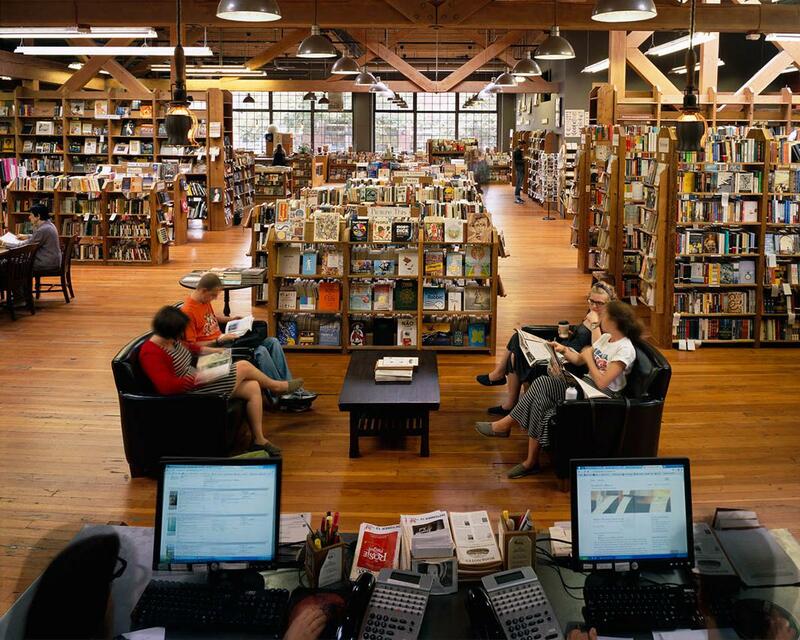 Tsunami Books, Eugene, Oregon. 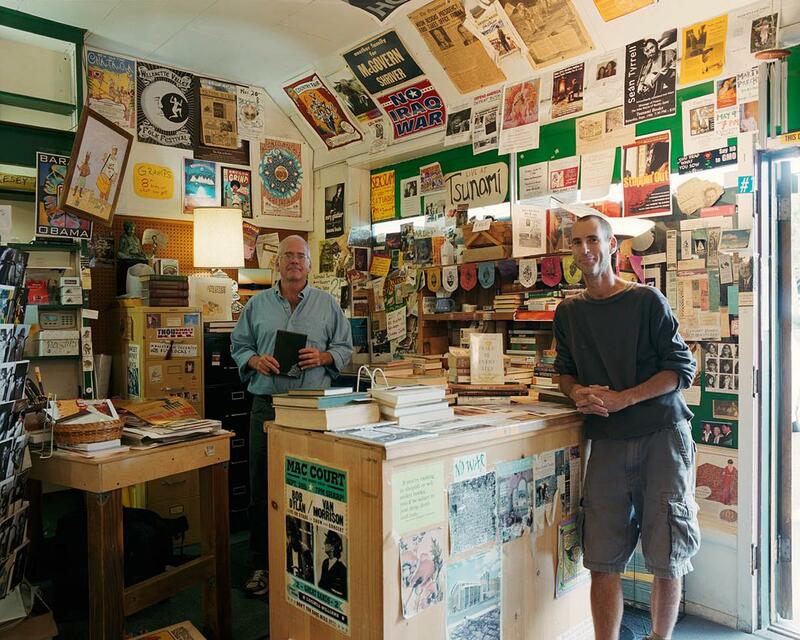 “We started [Tsunami Books] with no money, literally no money: trading, dealing with people, getting things for free … and positive energy,” said Scott Landfield, owner, shown with former business partner David Rhodes, right. 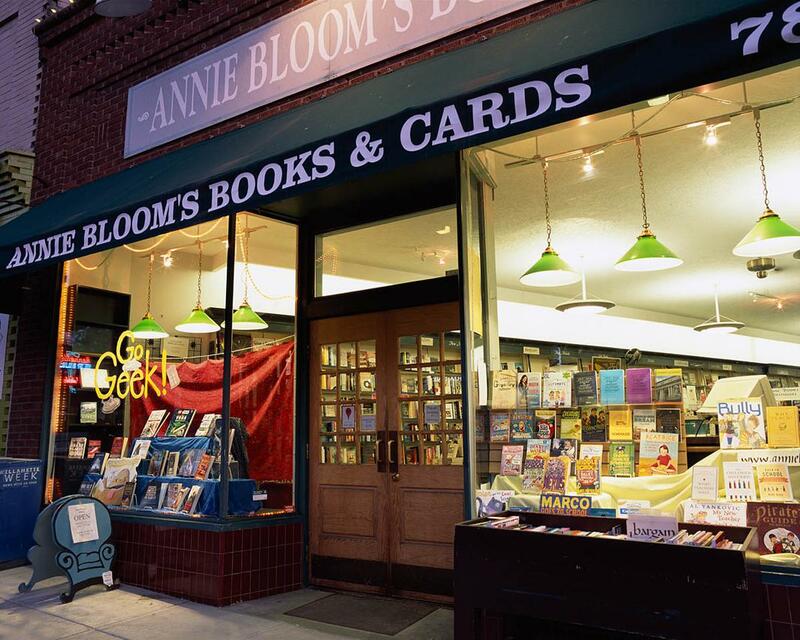 Annie Bloom’s Books, Portland, Oregon. “The store has its own personality at different times, even different times of the day. We get different types of people in during the day, in the morning, and we’re open until 10 at night. We get younger people in at night,” said manager Will Peters. Griffith began his series during a trip back home to Kalamazoo, Michigan, for his high school reunion. While there, he met up with a friend who had recently opened Bookbug, a bookstore that catered primarily to children’s books. Griffith and his wife dropped by to pick up a book for their niece and he began shooting the first images and recording interviews for The Last Bookstores: America’s Resurgent Independents. Griffith decided to pursue an artistic life after a successful career with an international management consulting firm. Most of his work leading up to the series had been focused on fine art photography, and he said he’s not the most logical person to tackle a project like this. “I’m an art photographer and I’m not the best choice for this project since I have all the wrong equipment and expertise, but no one was doing it and it needed to be done,” he said, adding that he is working without funding and, as of yet, without a publisher. City Lights, San Francisco. “There is a whole new generation of younger people coming into the business being very clear about how challenging this will be … but have the persistence, the tenacity, and the talent to work in a low-paying field. But one that will reward them immensely,” said coordinating buyer Paul Yamazaki. Bookbug, Kalamazoo, Michigan. “Opening in 2008, we had the extraordinary benefit of assuming—from day one—that we had to do much more than sell books. 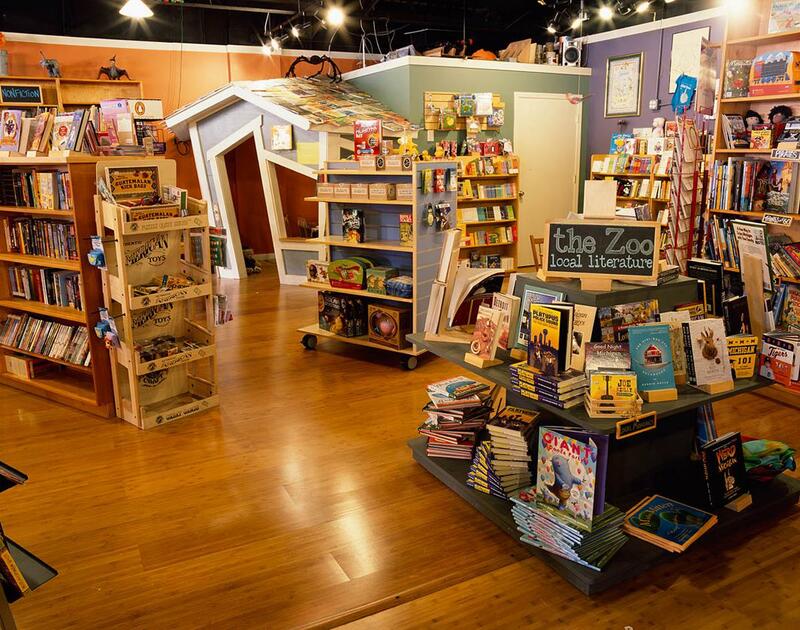 We needed to be a place where people feel welcome and feel a desire to give themselves and their families an education beyond the experience of reading a book alone,” said co-owner Joanna Parzakonis. Part of the goal of the series is an aesthetic one: Griffith said he is drawn to the design of the bookstores and their unique look as opposed to the homogenization of big-box retail chains, and he said his inspiration are the storefronts Walker Evans photographed in the 1930s. 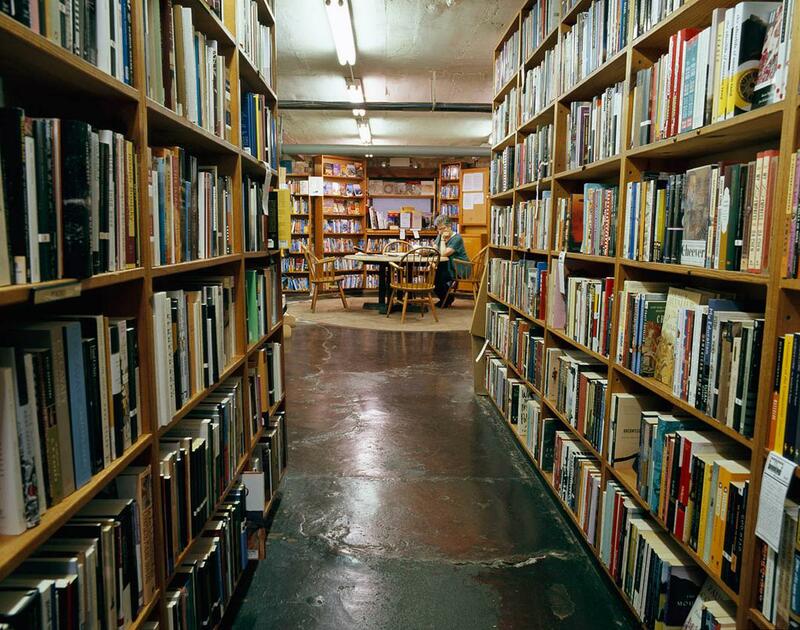 Green Bean Books, Portland, Oregon. “We’re a place where people can meet, talk, and have activities. I feel like we’re a community resource in some ways, or a gathering place. 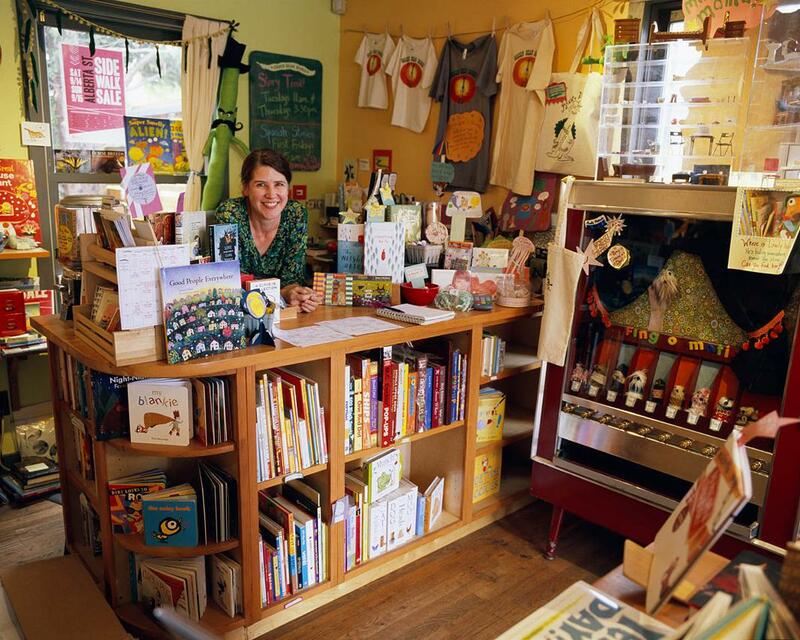 … We’re bringing something positive to the world, I’m hoping,” said owner Jennifer Green. 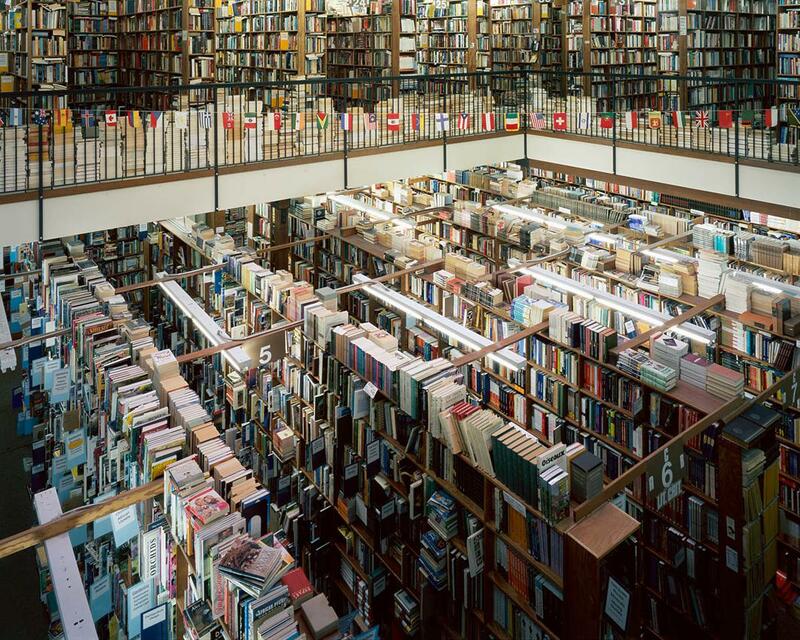 Smith Family Bookstore, Eugene, Oregon. “My father was a bit of a socialist in that he didn’t want to build a business simply for personal gain. He wanted to build a business where the people who worked in the business also could make a living. Heath insurance—all the things he never had—he was determined to provide,” said owner Evon Smith. 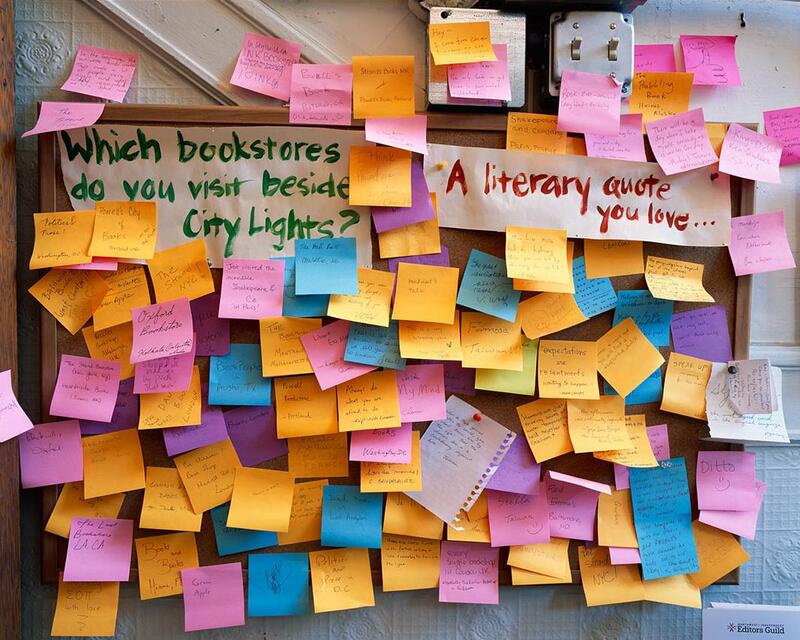 57th Street Books, Chicago. “We try to serve as many kinds of readers as we can … not just from a sales standpoint, but also because the South Side is in many ways neglected by the larger city,” said manager Thomas Flynn. Iconoclast Books, Ketchum, Idaho. “Our tag line when we do a lot of advertising and support is ‘brothers in arts.’ Whether you’re music, performance, visual, or a bookstore, we partner,” said owner Sarah Hedrick.